With excellent design and manufacture experiences, we can provide all kinds of need for different fields of label and packing machines including shrink sleeve applicator machine, shrink sleeve labeling applicator, heat shrink tunnels etc. Together with more analysis and improvement in the mechanical construction, wisdom control, high product, we provide a new generation GMP standard of labeling and sleeve inserting machine. And let LEBAL to give you a new standard. 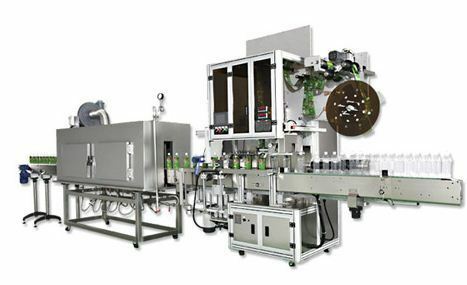 Multipack delivers first class bottling machines, shrink sleeve applicator, shrink wrapping machine, shrink tunnels, auto side seal machine , stretch wrapping machine, BOPP/OPP label applicator, cup rinsing, filling and sealing machine, semi auto/fully auto container sealing & cutting machine, induction wad inserting machine [cap lining machine], auto L type sealer packaging equipment, liquid filling machines, capping machines and labeling equipment for various size, shape and speed of bottles.